You forgot the person’s name…again. You forgot your keys or wallet… again. You wanted to do something or say thing , but you don’t remember what. You get accused by your friends and family of getting more and more forgetful . Or maybe your memory is still okay, but you just need to have a sharper memory and you need to recharge your brain, as you been working yourself too hard. If you need to understand why you are so forgetful nowadays , please read my article here on What Causes Memory Loss And Forgetfulness. What you should do is get yourself the best memory supplements before the situation worsens. Today I will run through the best memory supplements reviews out there for you to compare and decide. I will also suggest my personal choice at the summary. These are the best memory supplement ingredients in the market right now. Taking DHA supplements can improve thinking skills, memory and reaction time. DHA comes from fish oils, but most fish oil supplements have a higher concentration of EPA than DHA. However, for the full potential of improving memory, you need a higher ratio of DHA versus EPA, or just pure DHA. Normal fish oil would not help much for your memory, so please choose wisely . One of the best memory supplement with DHA is OmegaVia DHA 600mg which is a pure DHA supplement. This product is always mistakenly thought to be only for pregnant women. In fact, everyone (all adults) can take this product. Gingko Biloba leaf extract may be one of the most popular memory supplements worldwide. It improves blood circulation throughout your body, especially to the brain where long term and short term memories are made and stored. Gingko may also prevent or delay age related brain memory loss. There is so many gingko biloba supplements out there right now and too many with dubious quality . Get yourself a gingko biloba supplement with at least 60mg of standardized extract (means that every bottle is confirmed to have the same amount and quality of supplements). Jarrow Formulas Ginkgo Biloba 120mg is good enough for preventing memory problems. It also helps for tinnitus. Bacopa is an traditional Indian herb that has been used to improve memory and focus . Taking bacopa really helps when you are in highly stressed job or situation that requires alot of concentration and memory. People taking Bacopa may feel more alert and can easily focus on their tasks. Derived from the periwinkle plant, Vinpocetine is used to enhance memory and cognition. It improves blood circulation to the brain and also helps in energy production in the brain. When taking this, many has said that their thoughts become clearer and they can remember things better. Pure Vinpocetine by We Like Vitamins is a good choice with very few complaints. Citicoline is known to be the super nutrient to the brain. It not only may improve your memory, its may also actually boost your focus, your performance and speed of doing stuff . If you are still working or have a highly stressed job, Citicoline may work best for you. Jazee Citicoline is 100% vegetarian and works wonders for improving focus and memory. People who have sufficient Vitamin B6 and Vitamin B12 perform better mentally. Both these vitamins protect your brain from shrinking and also may improve short term and long term memory. It is actually not easy to find just Vitamin B6 and B12 together in a bottle, as almost all comes in Vitamin B-Complex form. In normal B-complex vitamins, the supplement amount is too low compared to just a combo of B6 and B12 . This combination not only helps the brain, but is widely used to protect the heart as well. A good choice of Vitamin B6 with B12 combination is Wonderlabs Advanced B-12 with B6. Huperzine A is derived from club moss. It works by increasing the neurotransmitter acetylcholine in the brain. This means that Huperzine A supercharges your brain . Huperzine A may increase memory, focus, and improve learning. If you have a highly stressed job which require you to be in tip top condition, this would be the better choice for you. You can try Double Wood Huperzine-A for a better memory and easier focus. Brain Pill makes you remember things easier, solve problems faster, and less stressed out. You can think better and faster in your highly stressed job or at home. This is one of the best combination memory supplements you can get, with all the top notch memory enhancing supplements inside. 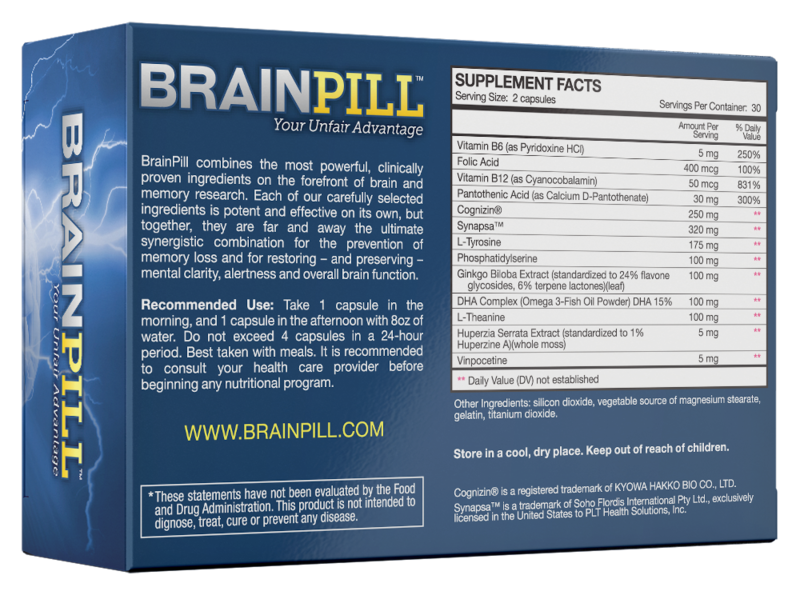 Brain Pill combines more than 13 supplement ingredients including gingko biloba, bacopa, vinpocetine and Huperzine A mentioned here. 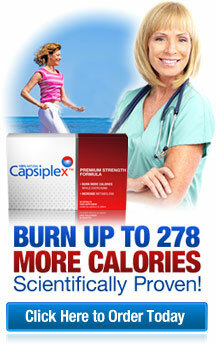 They offer a money back guarantee if you think you don’t see any results. How do you choose with so many brands out there? Firstly, you need to choose a product with good quality ingredients from a manufacturer with a proven track record. The brands that I recommend here have great reviews from real people and very few complaints. Secondly, I would recommend taking a product with multiple ingredients instead of buying a few bottles of random vitamins. It makes life easier and will be more cost-effective. Buying each ingredient one by one can be much more expensive and tiring to swallow. Thirdly, I would choose a product which offers a money back guarantee . This mean the manufacturer is super confident of their product. Most supplements do not offer this. The best memory supplement that fits all these criteria is Brain Pill. It is by far, the easiest to take and the best quality memory boosting supplement out there. The best way to improve your memory and reduce forgetfulness is to do something about it. Many people just sit there and complain but never do anything about it. Some buy crappy vitamins and never even finish the bottle within the time period. Whatever you take or plan to take, just take it every single day to get results. Have you tried any of memory supplements ? Share your thoughts here in the comments section. 2 replies to "Best Memory Supplements Reviews"
I’m so glad I found this article. I was just about to order some Omega 3’s from a company for the brain and heart benefits. I am glad that you broke down all of these vitamins and that Brain Pill seems to have a lot of them in one. I get aggravated when I have to take a lot of vitamins, or pills at a time. I am glad you found this article useful . There are too many supplements out there that promise the world and many may seemed too technical or over-promising. I am happy my blog has helped you in your decision. If you need help at anytime, just pop in the comments below. Would be happy to help clarify health stuff for you.